He is currently the BBC’s Security Correspondent. He was appointed an OBE in 2005 for his services to journalism. Educated at Marlborough College, a boys’ independent school in Wiltshire, England, and at the University of Exeter, Gardner cites a meeting with the Arabian explorer Sir Wilfred Thesiger in his youth, which led to a life of fascination with the Arab world and a degree in the Arabic language from University of Exeter. Between 1989 and 1991 he was a Territorial Army officer in the 4th Battalion the Royal Green Jackets. After a nine year career in banking as an investment banker with Saudi International Bank and then Robert Fleming Bank from 1986 until 1995, a promotion in Bahrain resulted in his not liking his career, and he took the plunge into journalism in Saudi Arabia. In 1995 he joined BBC World as a producer and reporter, and became the BBC’s first full-time Persian Gulf correspondent in 1998, setting up an office in Dubai. In 2000 Gardner was appointed BBC Middle East correspondent in charge of the bureau in Cairo, but traveled throughout the region. After September 11, 2001 attacks on New York, from 2002 Gardner specialised solely in covering the War on Terror. On 6 June 2004, while reporting from a suburb of Riyadh, Saudi Arabia, Gardner was shot six times and seriously injured (his colleague cameraman Simon Cumbers was shot dead as he fled the same attack). Of the five bullets which hit Gardner in his torso (the sixth bullet passed straight through his shoulder) all missed all his major organs yet one hit his spinal cord and he was left paralysed from the waist down. However, after several months of rehabilitation he returned to reporting for the BBC in mid-2005. He is now a wheelchair or frame user. Despite his injury, he still occasionally reports from the field including places like Afghanistan and Colombia but usually comments on top stories from a BBC studio. In 2005, for services to journalism, he was made an Officer of the Order of the British Empire as part of the Queen’s Birthday Honours. In summer 2006 he released a book on his experiences called „Blood and Sand”, which he launched at the Hay Festival. 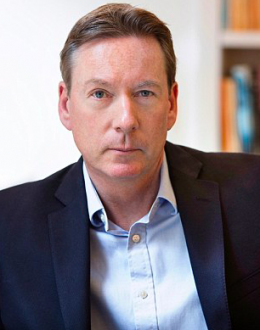 In 2011 Gardner presented Tintin’s Adventure with Frank Gardner for the BBC, a documentary in which he travelled through Northern Europe following Tintin on his first ever adventure – Tintin in the Land of the Soviets.